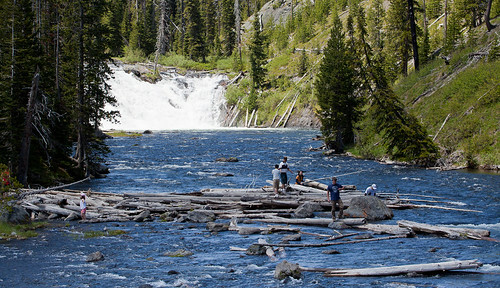 Grand Teton and Yellowstone National parks are home to some great hiking trails and picnicking areas. It seems that for most people who are in grand Teton National park are just passing through; Generally trying to get to Jackson, or are coming from Jackson heading to Yellowstone. It has a lot of stops along the way for you to enjoy. If you have a canoe or kayak, I would strongly recommend taking it out on Jenny or String lake. The fishing is tremendous for large cutthroats, and the solitude is really nice once you get to the far bank. Personally I think its nice just to relax on the shoreline. Worth a short stop. Its right off the road, pay close attention to the rocks on the edge of the parking area, If you are into geology, I remember them being pretty awesome. Views from the summit include much of the northern section of Yellowstone National Park and on clear days, the Teton Range is also visible. The mountain trails are some of the most frequented in the park, so summer hikes can be crowded. With an altitude gain of 1,393 feet (424 m) in 3 miles (4.8 km), the hike from Dunraven Pass to the summit is moderate. Another trail which climbs 1,491 feet (454 m) in only 2.25 miles (3.6 km) starts from the Chittenden parking area. A nice hiking spot located at the string lake parking area. This is an easy hike With great views of mount Moran. 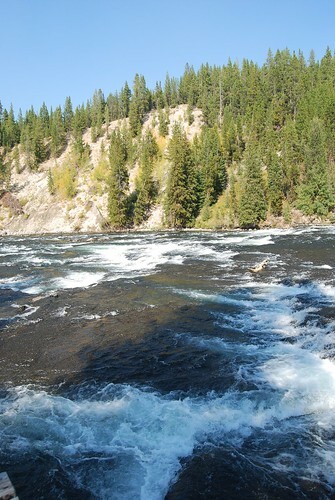 A great Place for a summer time swim on a hot day. Its a little more low key than Jenny lake. This is located between Jenny lake and Leigh lakes. Also a great picnic place! Get information here to help on your adventure. This can be a real sight at certain times of year when the elk are there. A great place every time of year though. A great stop for the kids. Its fun to look at all of the trout. A nice little stop on your way through Yellowstone. I stop here every time I ride through. A popular little lake with some stunning views. A lot of hiking trails all over the place here.